The Freedom Festival hosts a hot air balloon festival for 3 days leading to the July 4th celebration. This year. I was shooting video, for the fun and practice. 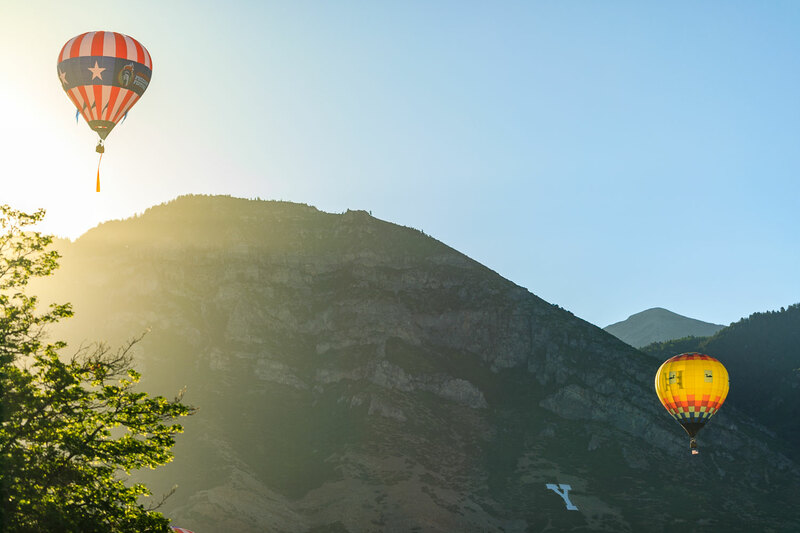 However, I did grab this one photograph of hot air balloons flying over Y Mountain by Brigham Young University. The morning light is stellar. This photograph is available for sale. You can buy it here. And if you want to see a time lapse of the balloon launches go to my YouTube, woo hoo! And I will be editing the video for the balloon festival hopefully soon—over 100 gigabytes of video can’t go to waste!